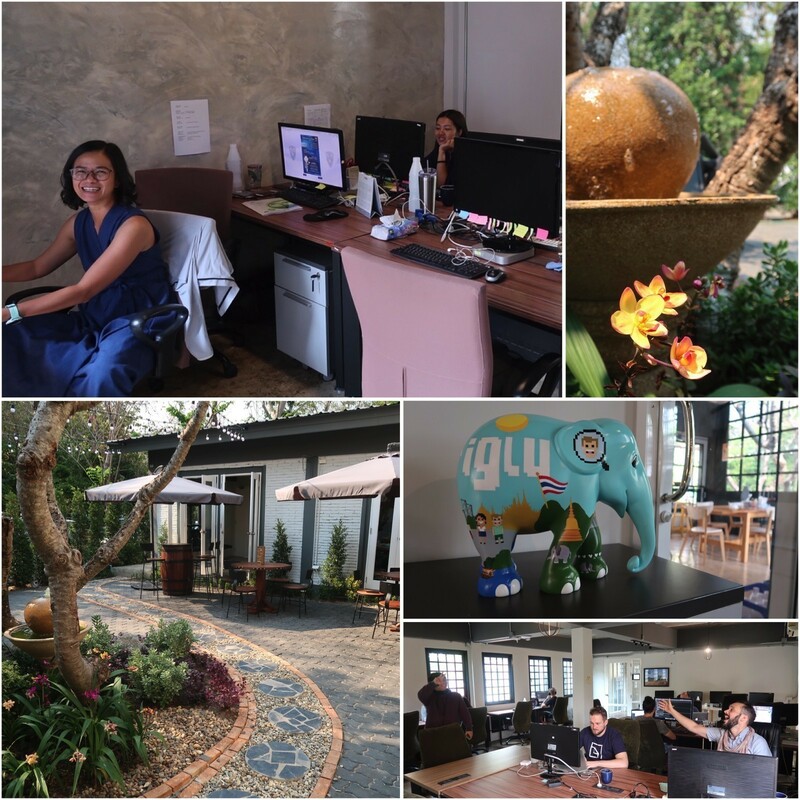 Iglu’s headquarters office in Chiang Mai is a great place to work. Located on the southwest side of town, it’s close to the mountains and lots of greenery. The nearby Wat Umong neighborhood is taking over as the new hip area, with plenty of cafes and restaurants catering to the local student population. The location is easily accessed from the city center, too, with a short drive along the Canal Road. 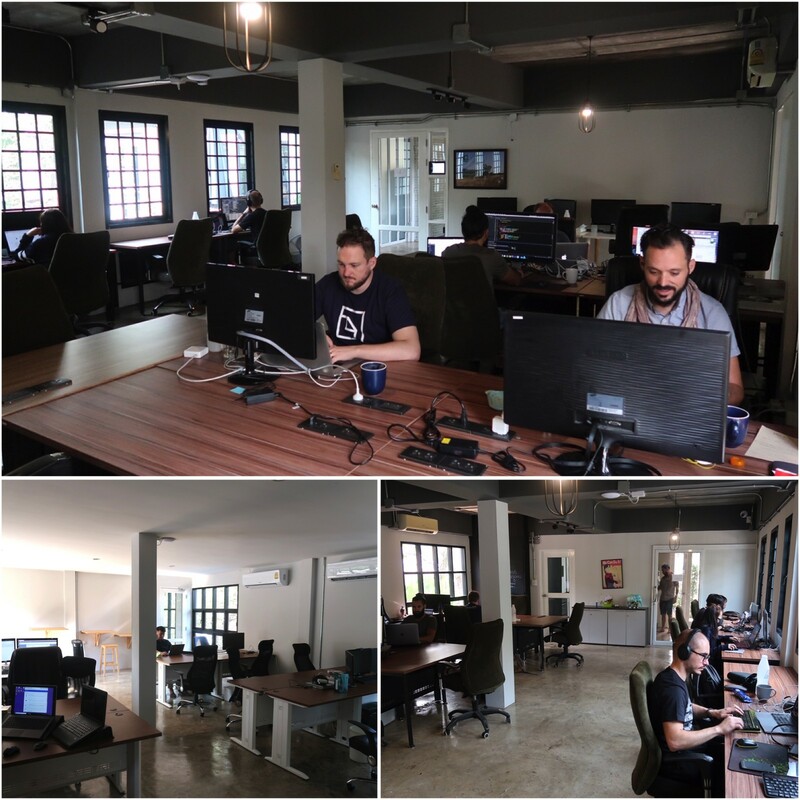 Iglu’s office is ideal both for working from and for hosting events. The U-shaped building surrounds a central courtyard with outdoor seating and a mini stage. It’s a perfect spot for throwing a party and also for working outside on days that aren’t too hot. Primary work areas are located in the middle section of the building, while the north wing is home to Iglu’s admin office and the south wing hosts a lounge room and coffee corner. The main work areas contain dozens of desks on two floors. The upstairs room is a designated silent zone for those who wish to be completely free of distraction, while the downstairs is open for socializing and collaboration. All of the hot desks have comfy office chairs and monitors available for use. An air purifier is set up to keep everyone healthy, and the super-fast WiFi keeps everyone productive. There are three designated meeting rooms at the HQ that can be booked: a large boardroom, a small meeting room, and a Skype booth. The boardroom has everything necessary for holding meetings with important clients. There’s a large table with seating for 8, a 55-inch TV for giving presentations, and a large whiteboard for sketching out ideas. The smaller meeting room occupies a cozy corner on the second floor of the building. Equipped with sofa seating and a very large whiteboard, it’s the perfect spot for team collaboration in a casual environment. The Skype booth is also located upstairs, and if you’re feeling adventurous after getting off your video call you can take a shortcut to the ground floor via a fireman’s pole. 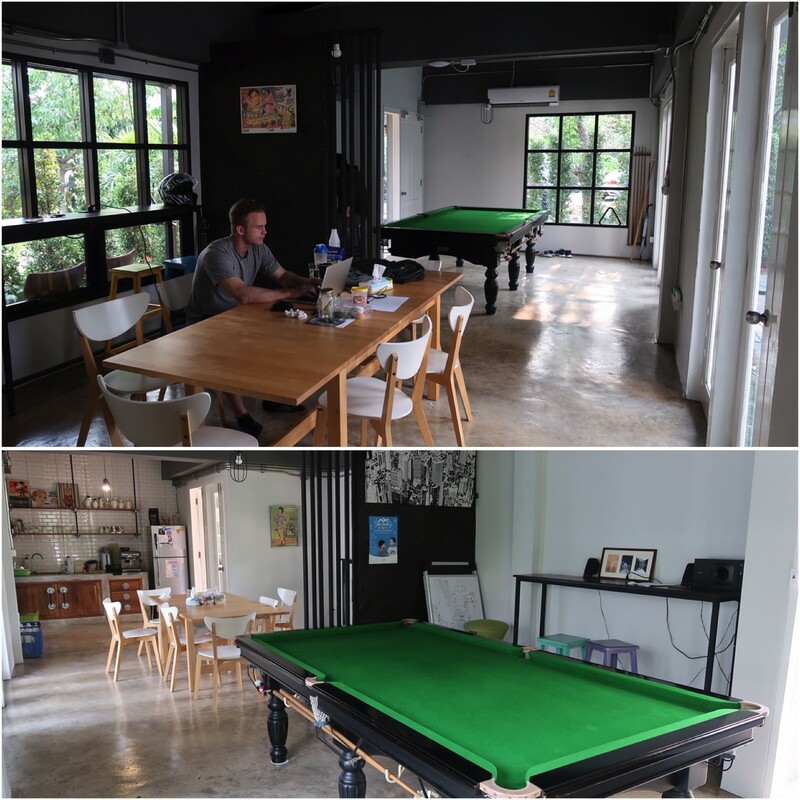 In the lounge area, a large kitchen table and a pair of smaller bar-height tables can be used as casual work spots. There’s also a full-sized pool table useful for blowing off steam. And if you want to put your skills to the test, you can join our friendly competition to decide the monthly pool champ. 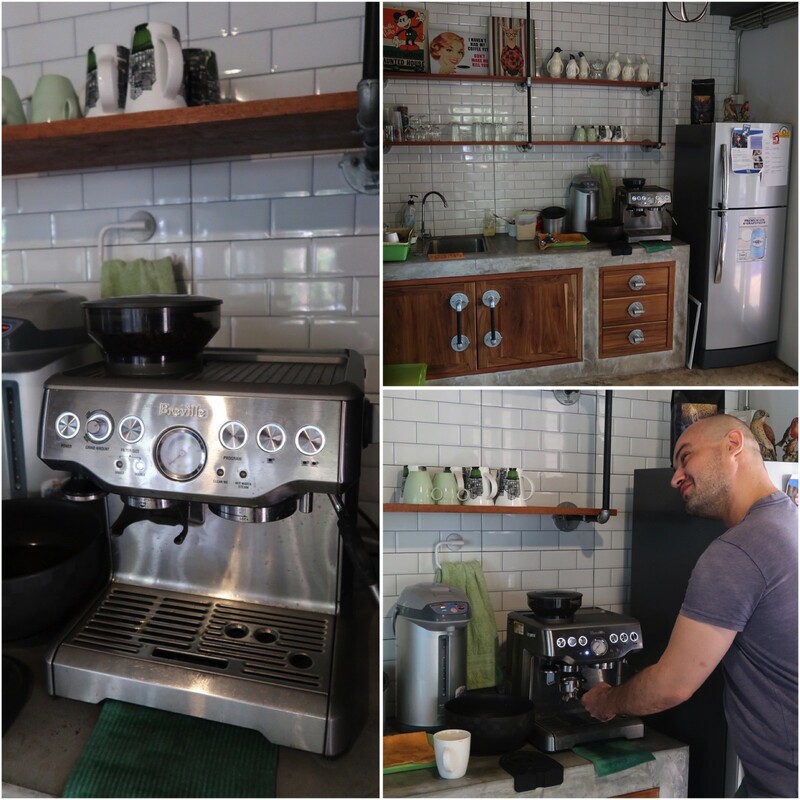 The coffee corner is host to our much-loved Breville espresso machine. You can start your workday the right way by making yourself a hot latte, cappuccino, or Americano with freshly ground beans. If you don’t trust your own barista skills, there is also Roastwood Artisan Coffee just 50 meters from the front door—and you’ll get a discount if you say you work at Iglu! A pair of convenience stores are conveniently located just steps from the office when you need a snack to power-up. And for more substantial food, there’s a small market/food court right next to the 7-Eleven where local Thai dishes and fresh fruit can be purchased. 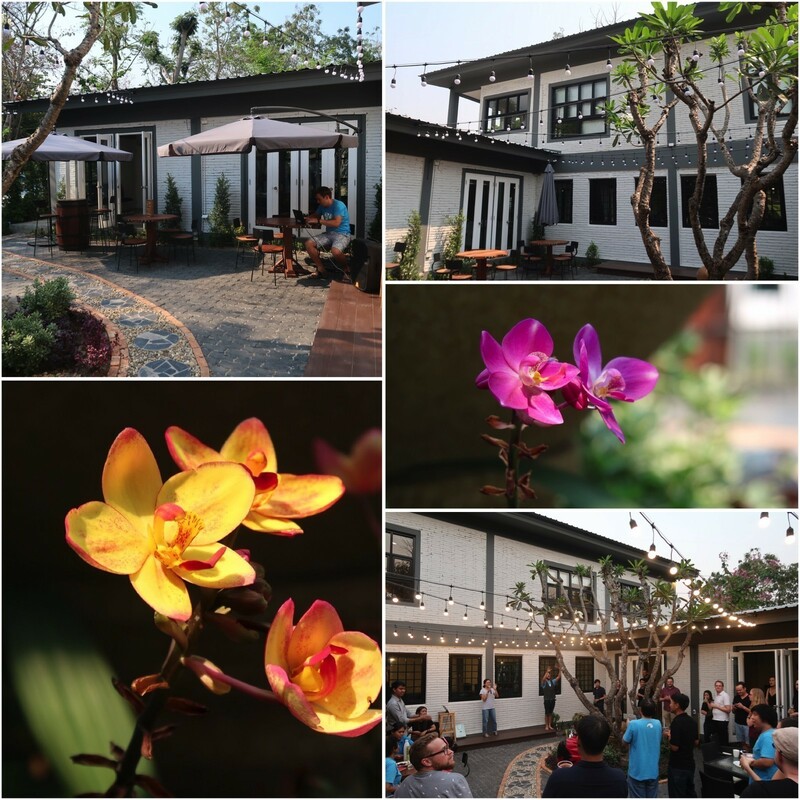 Also within walking distance is the air-conditioned Root Restaurant, which has a large menu of Thai and western dishes, along with a good selection of coffee drinks, juices, and smoothies. They also have a swimming pool on the property that customers are allowed to use. More eating and drinking options are a short drive away, with the super popular Adirak Pizza among them. Pure Vegan Heaven and Malipai Roastery & Cafe are also nearby. With so much good food around, you may be afraid of putting on some extra weight. To keep your body in balance, you can get in a good workout at the newly-built Speed Gym. It’s a large, modern facility with lots of weights and machines, located almost right across the main road from the office. You can also join your fellow Iglu employees in a weekly yoga class. Outside of work, the Chiang Mai Iglu squad always seems to have a new activity planned—happy hour cocktails by the river, sushi buffet, Indian food feast, pub quiz night—which all are welcome to join. 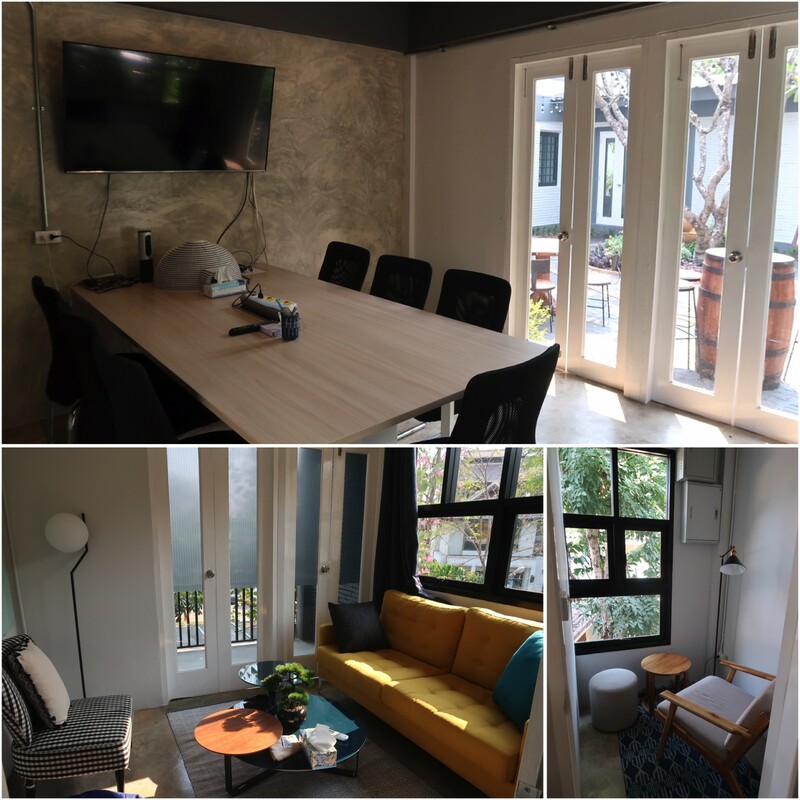 Our headquarters office is not just a co-working environment but also the “home” of Iglu in Chiang Mai, where our community of digital professionals can really come together.